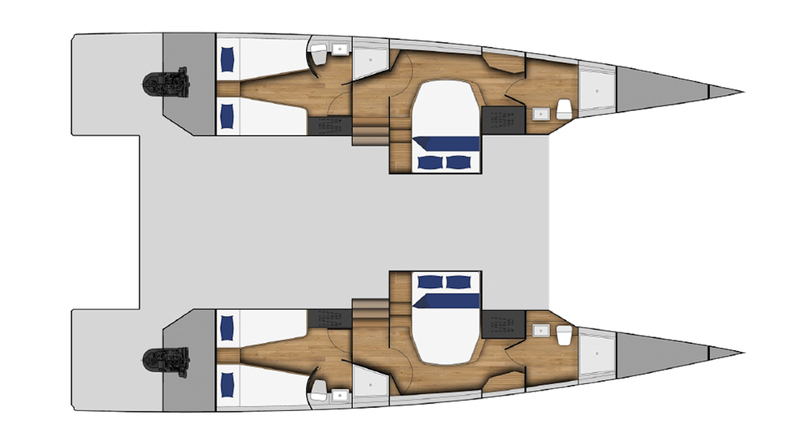 This listing is for a new semi-custom build with ca 16 months from order. 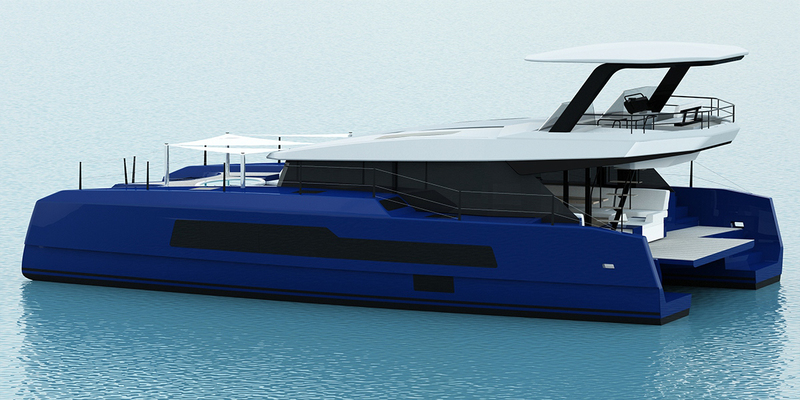 The McConaghy MC59P Power catamaran is based on the successful McConaghy 60 multihull of which several units are already under construction. This power cat is packed full of the latest aerospace technology for which McConaghy Boats are known for. 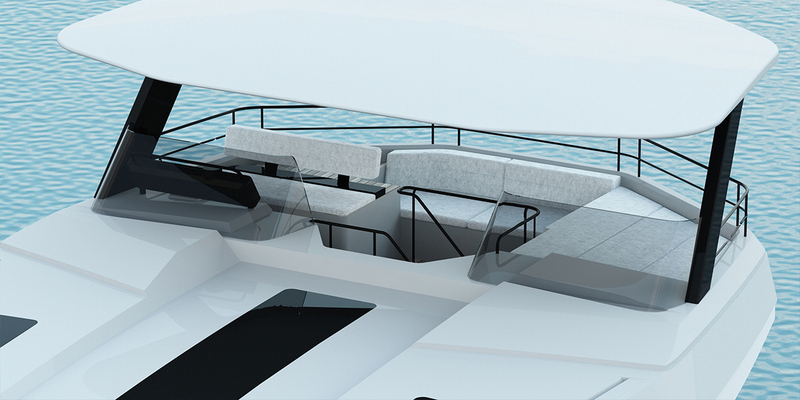 She looks like a modern fighter jet, yet at the same time soothing you with a comfortable loft like living environment. 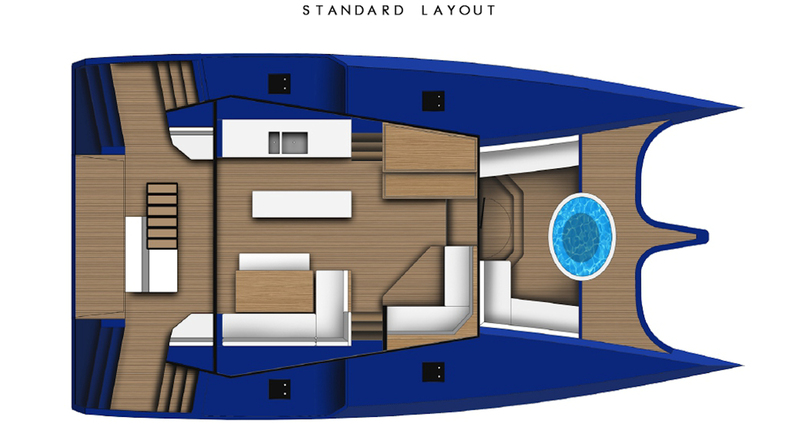 The MC59P shares the same trademark open salon/cockpit layout as all McConaghy yachts. 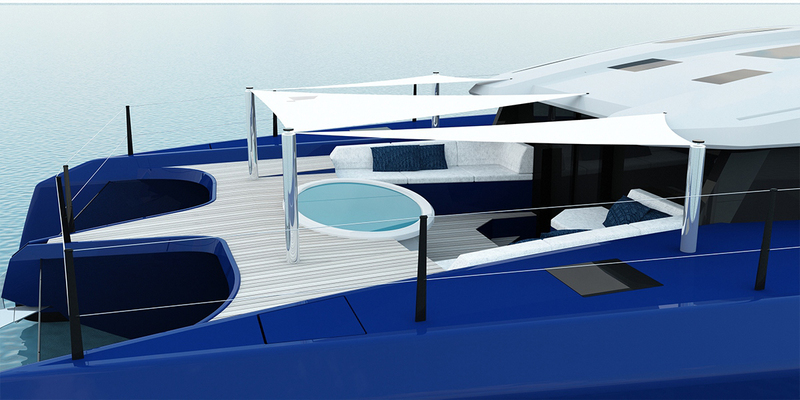 She is constructed using an innovative technique whereby 80% carbon is utilized in a patented epoxy infusion process. 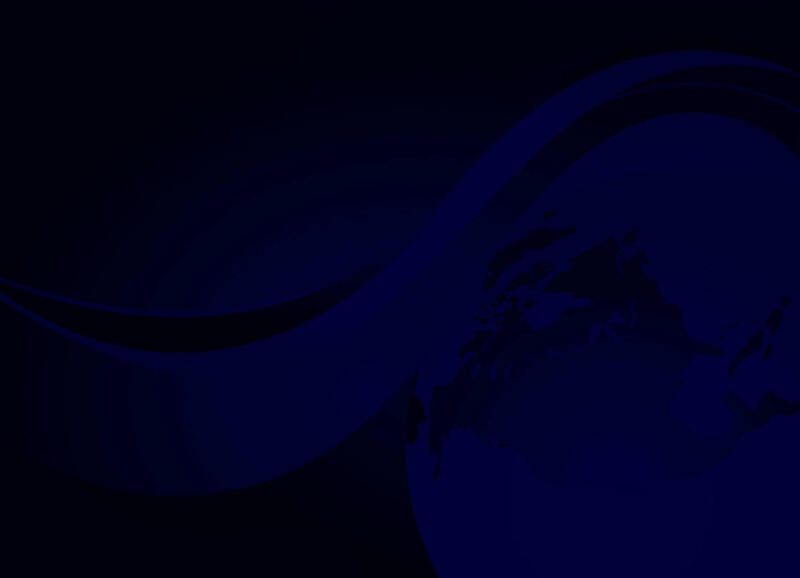 In addition many components are post cured to achieve the ultimate strength to weight ratio. 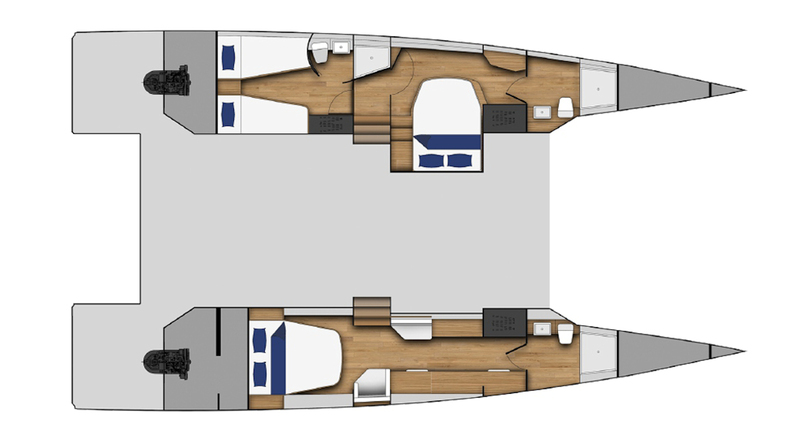 This proven race boat build technology translates into a larger interior, better fuel economy and speed. 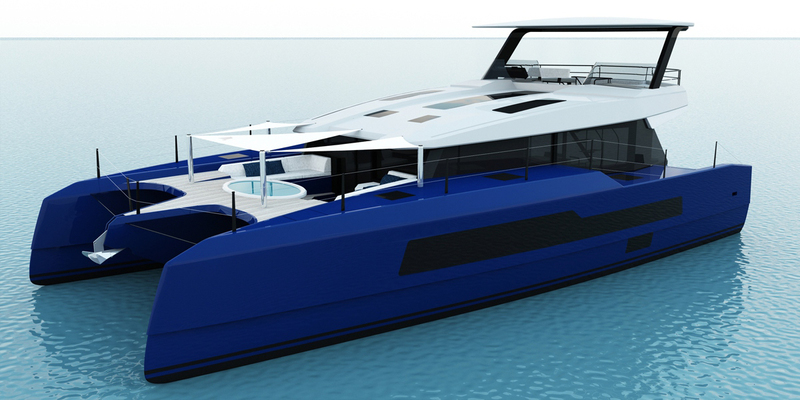 The McConaghy MC59P power catamaran has been conceived for customers who are seeking a strong, go-anywhere super yacht with trans-ocean range. 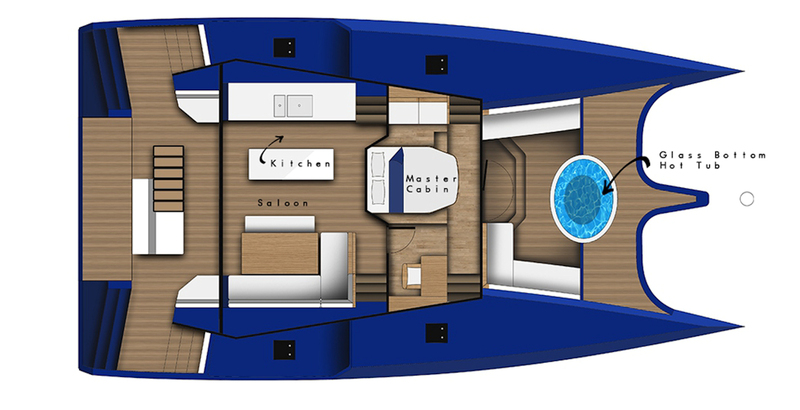 She can be ordered as an owner version with a full length master suite or a 4 cabin version. 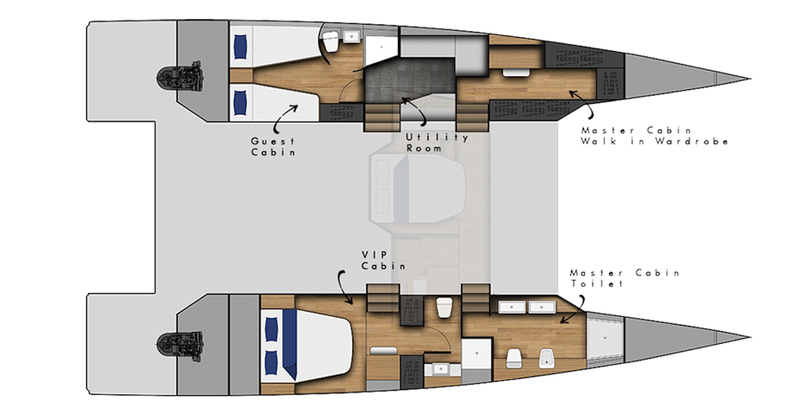 The MC59P can also be ordered with a main deck owner suite and a forward cockpit with Jacuzzi. 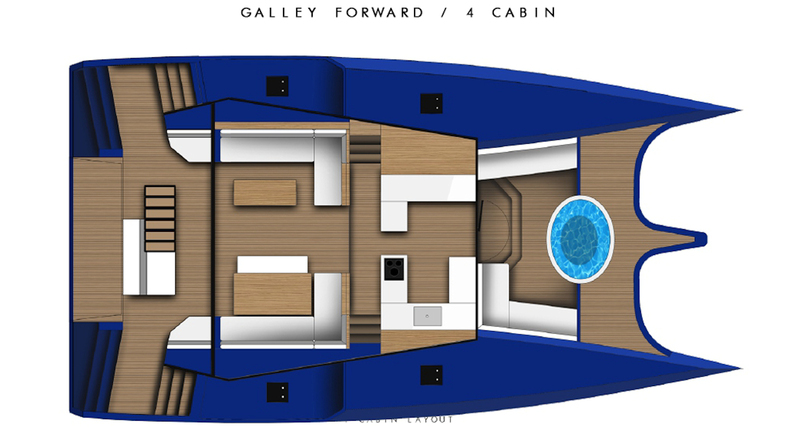 As with all McConaghy yachts this innovative multi hull can be customized to suit owner’s preferences.